Situated in one of the most sought-after areas of the city, the building must reflect the prominence of the historic Gold Coast. To create a home of this caliber, I worked with the best: materials sourced from across the globe, a wealth of premium brands, and exquisite layouts and amenities—all expertly curated by Bromley Caldari. In the end, each residence needs its own passport. Two dramatic arrival experiences—step through the attended lobby adorned with French limestone and mahogany, or drive directly into the automated garage. Controlled with a keyless fob, each residence receives a secure, private parking space. 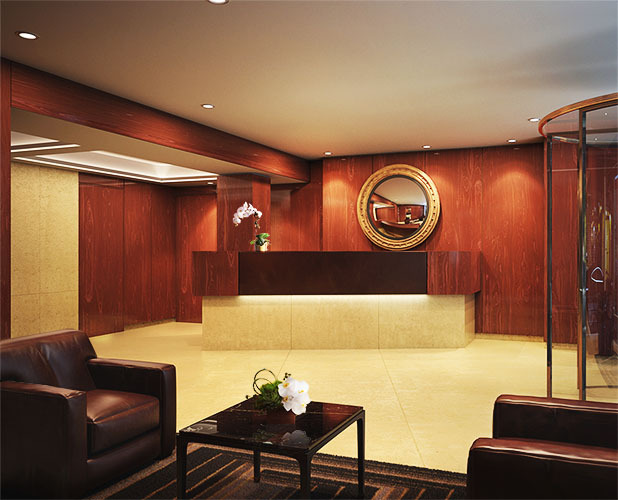 Intimate and welcoming, the lobby is adorned with signature elements including French limestone floors, French polished mahogany wall paneling, and an Italian espresso leather concierge desk. Tell me a little bit about what attracted you to this location and, if you were living here, what this location would offer? First of all, Greenwich Village is sort of the classic location in Manhattan. It is one of the few places that is still a neighborhood. It’s been a village since the 1850s. This particular location, on 12th Street, it’s half a block from 5th Avenue and 12th, which is the beginning of the Gold Coast, with Grace Church. And there’s a wonderful elegance to the neighborhood. One of the nice things about Greenwich Village is it’s not all uniform; there is character. And this block features some great highlights. The Gotham Bar and Grill is one of the leading restaurants in New York, and it has been since the early 1980s. One of the most expensive restaurants in town, and packed every day. That tells you something. It validates not just this neighborhood but also the block. You are passionate about this neighborhood, how does the building design connect to the visual fabric of the location? The Gold Coast is a series of buildings built in the 1920s by architects such as Rosario Candela. They’re beautiful buildings. They’re typically limestone-based, with a brick upper part. There’s a style about them which is very elegant. And when we set out, my initial thought was to do a brick above limestone base. And I was dissuaded by our architects, it was a little too dull and we wanted to do something a little more imaginative. And I happened to be in London around that time and I saw a building my partners are constructing -- in London, in Soho, building a hotel -- and it was almost finished. And we were looking at the building, the site inspection, and I looked at the brick on the outside, and it was a wonderful color. And it happens to be brick that’s been used in England since Regency times; it’s called London stock brick. It’s never been used in New York. We are importing it by boat and it will create an exterior that is respectful, yet elegant, an important addition to the Gold Coast landscape. What is striking is that you’re actually assembling this building from almost every continent, it seems, in the best sense of that word. The brick, kitchens, floors, and windows. You’re sort of touching all parts of the globe. Can you give us a sense of how you ended up with a building that sort of has a hand-selected craft from all parts of the world? I can answer it very simply. We just wanted to have the best quality. And to get best quality, you’ve got to go to different parts of the word. You know, German faucets are of extreme high-quality. The Italian door hardware is unique. The Italians are wonderful at creating the kitchens, kitchen design, with high lacquer finishes, where the doors open electrically, which I’ve never seen anywhere before. The appliances are German and are, again, of top quality. We just insisted on the best and therefore we ended up being international. Because I think that’s what you have to do. You mentioned that you see 17 east 12th street as a career benchmark. How has real estate inspired you? It all started, actually, when I was a child, when I was seven or eight years old. One of my great hobbies was drawing floor plans of houses. So real estate was always something I wanted to go into. In fact, my father was in the construction business, owned a large company in England. 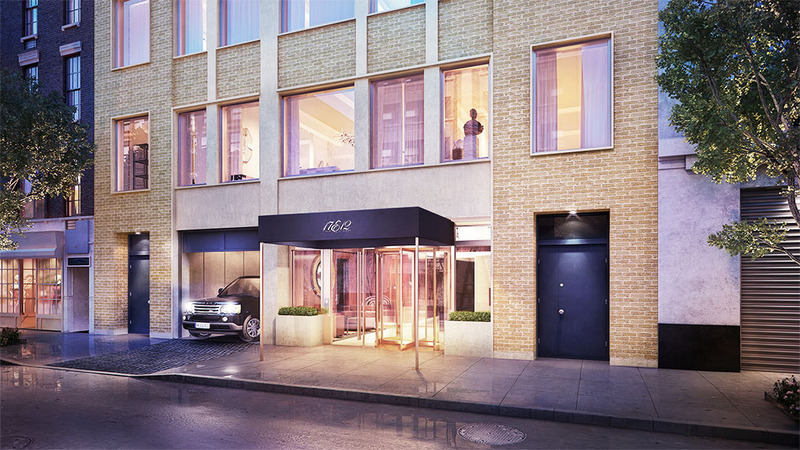 The first project that I undertook was the former Westbury Hotel on Madison Avenue, between 69th and 70th, which, 15 years ago, I converted into 47 luxury apartments and some quite valuable retail. 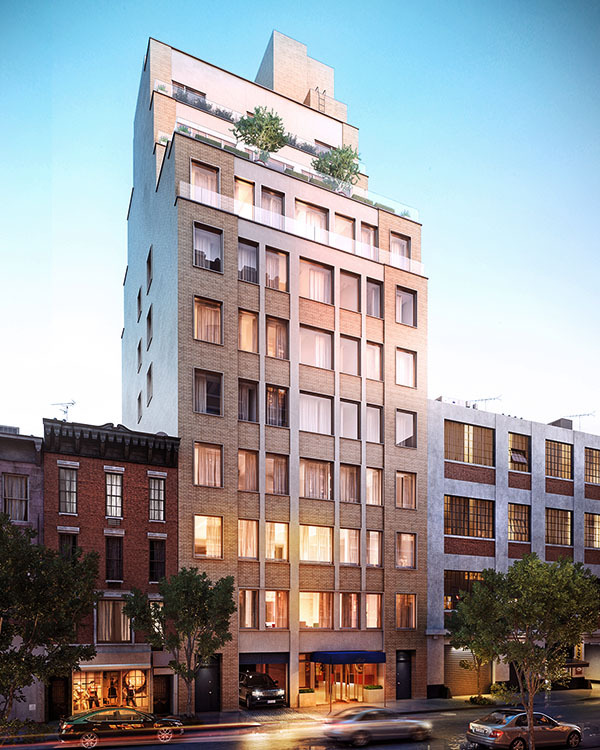 Following that, were four other residential projects in SoHo. In one of those properties, 73 Wooster Street, nobody has ever resold an apartment, which I think is quite a nice thing to note. Nobody wants to let go of them. This is more than a business. 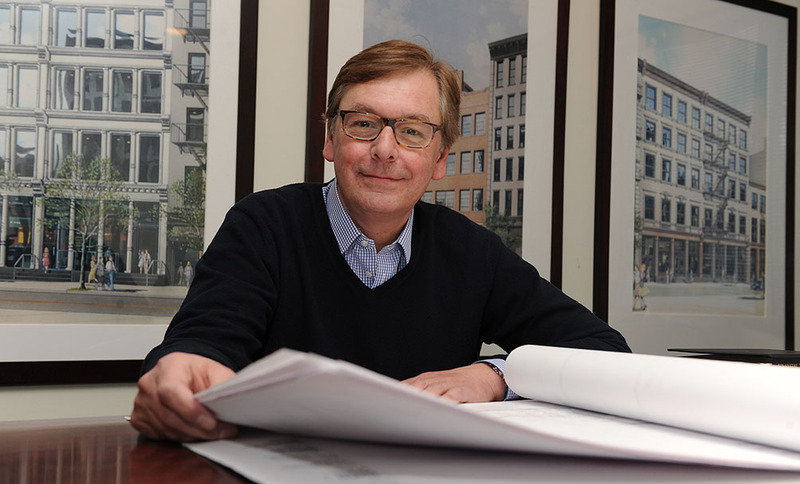 It is a passion; I take pride in creating homes for new families in the greatest neighborhood in New York.